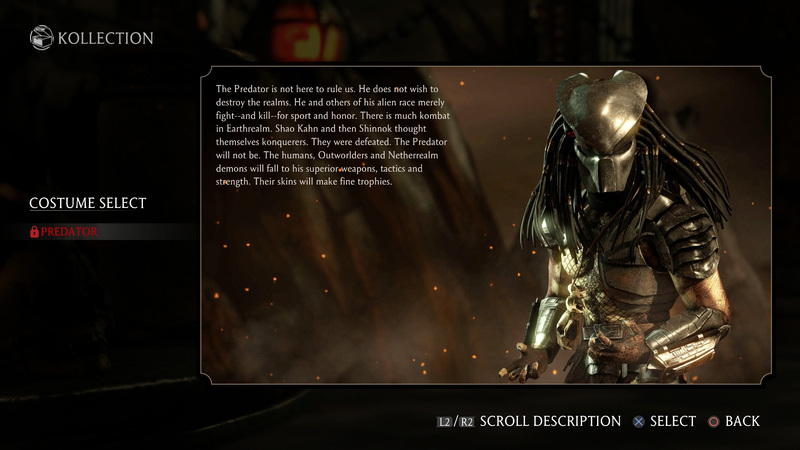 NetherRealm Studios have released a new compatibility patch in anticipation of Predator’s arrival in Mortal Kombat X on July 7 for owners of the Kombat Pack. 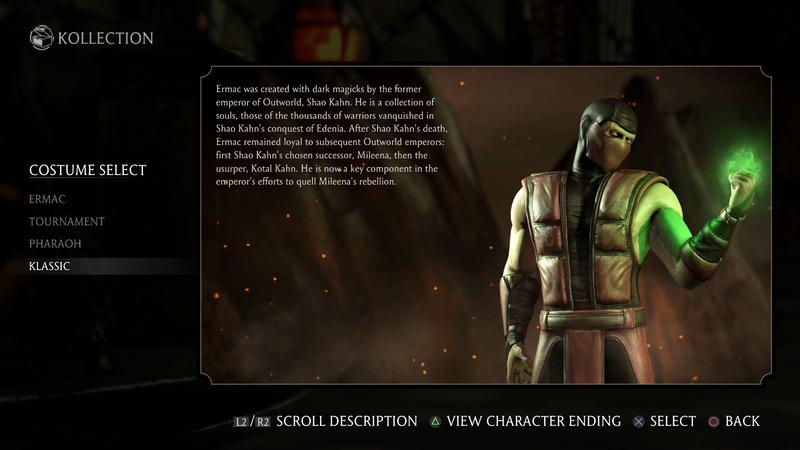 Patch 1.07 introduces a number of new additions, including a free Klassic Ermac skin that is available to all players. The update also includes previews for three new skins that will come bundled with Predator, including MK3 Jax, MK3 Kung Lao and MK4 Quan Chi. Also of note is that Jax, Johnny Cage, Kitana, Kung Lao, Mileena, Scorpion, Sonya Blade and Sub-Zero all seem to have gained a third Fatality, although they are currently locked. 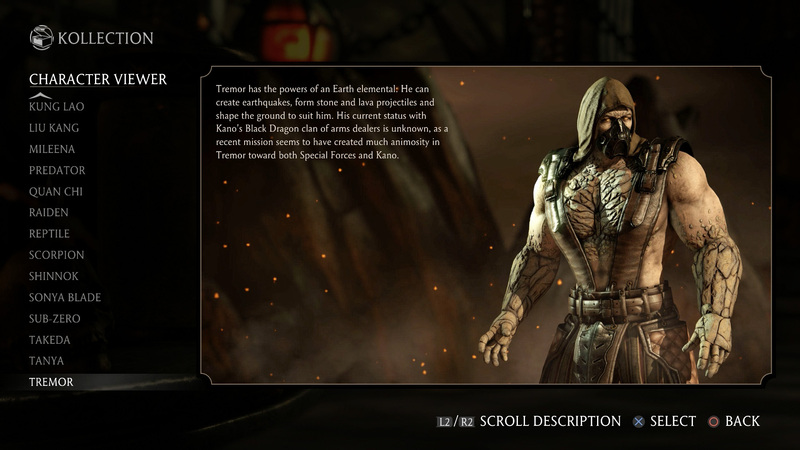 The update also lays the foundation for Mortal Kombat X’s fourth downloadable kombatant, allowing fans their first look at Tremor’s biography. Keep it locked to Kamidogu as we continue our in-depth coverage of Mortal Kombat X. Expect to see a full guide for Predator on launch day, along with his biography, full moves list, tower ending and finishing moves captured in full high definition at 60 frames per second. Be sure to continue the discussion by registering and posting in our dedicated Mortal Kombat X forum. Also, be sure to like us on Facebook, follow us on Twitter and subscribe to us on YouTube for the very latest from NetherRealm Studios!